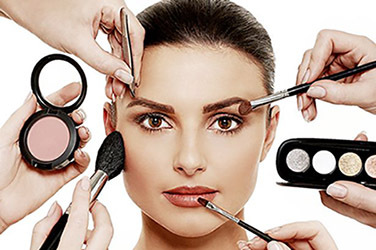 Sharpens Clipper Blades, brings Dull Blades Back To Life, easy to Use ‐ just 4 simple steps, takes less than 2 minutes, anti‐bacterial formula, all natural ingredients, saves time & money. 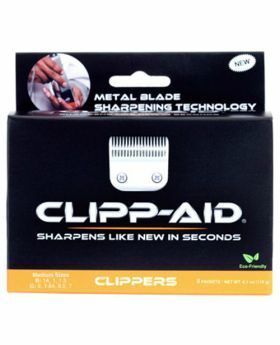 Can I use Clipp‐Aid® on my old blades? 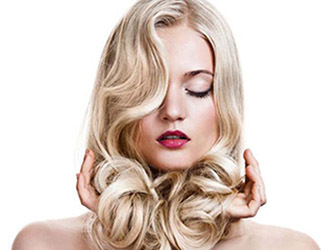 When first using Clipp‐Aid®, the age of the blade does make a difference. 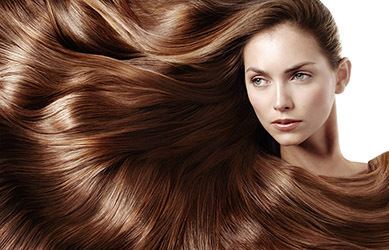 However, as long as the blade is not damaged, Clipp‐Aid® can be used to bring it back to life. 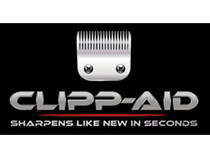 Can Clipp‐Aid® damage my clippers? 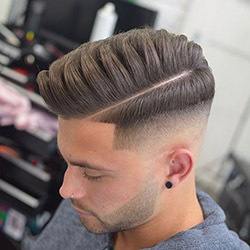 Research shows no risks or damage to clippers or trimmers with the proper use of Clipp‐Aid® products. 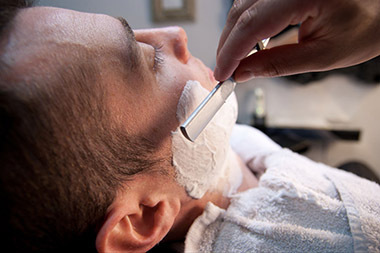 WARNING: Trimmer blades have finer teeth and are more sensitive than clipper blades. 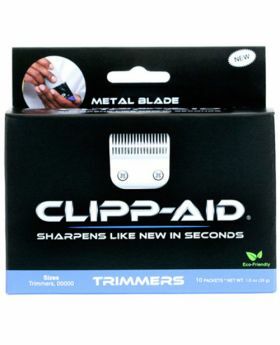 It is important to only use the specially formulated Trimmer Clipp‐Aid® (blue sachet) for trimmer blades. Also, ensure any dirt, dust, grime and other debris is removed from between the blades after using Clipp‐Aid®. We recommend using a blade wash (such as “CLEAN BLADES” Lubricant & Sanitiser) or removing the blade from the machine to clean. Which Clipp‐Aid® is best for me? There are 3 different sachets of Clipp‐Aid® available containing a carefully measured quantity of crystals to suit different blade sizes. There is also a sachet designed specially for trimmer blades.